This famous Latin maxim holds that on matters of taste, there can be no dispute. This saying seems self-evident; we are all different, so what’s the point of arguing over what smells nice, looks good, is interesting, or is engaging? According to them, People only differ in their constraints. 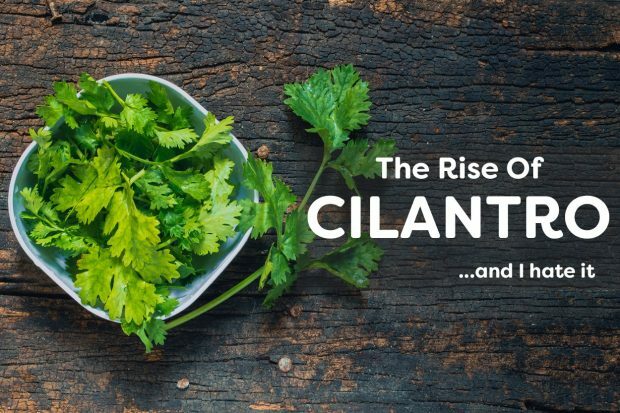 So a person likes cilantro not because of her innate tastes (or because she is innately wicked), but rather because something something she faces a different budget constraint than her peers. In my academic work, I talk a lot about reputation and how much consumers care about the reputation of goods and services before they purchase them. Commonly, consumers do not ride with Uber drivers unless they have over 4 stars; they choose restaurants based on favorable Yelp reviews; and, they buy products on the basis of advice given by friends and family. Research by HBS professor Michael Luca shows, for example, that a one-star increase in Yelp rating translated to 5-9 percent higher revenue for restaurants. I think about reputation as statistical information that allows us to make predictions. When we check what other people think about a product, we inquire as to the distribution of past experiences others had with it. How many people who bought a Dell laptop had a favorable experience? How many had a negative one? We believe that a high mean, or a positive skew, bodes well, and that a 2-star average is a good sign of a potential food poisoning. But why is reputational information predictive, if we are all gustibus-snowflakes? Why should it matter to me that someone else really liked his pad-thai? Can we answer this question without negating our subjective differences? I think the answer is that reputational information is predictive not because we are all the same, but because we don’t know how different we are. Before I buy an ordinary item of clothing, I normally don’t have any strong idea of how typical or a-typical my preferences are. On these issues, I have every reason to expect that my tastes will be fairly similar to that of most people. Sure, I may be particularly unique, but such a difference is not obvious to me ex-ante. Therefore, seeing what the typical person thought about the product is highly predictive, because for all I know, on this issue I am most likely to be a typical person. Distribution of preference for cilantro among different populations. Source. In contrast, when it comes to laptops, I am extremely picky and idiosyncratic. I only like certain kinds of keyboards; I hate touch screens; and, I suffer when my laptop can’t handle an OCD-inducing number of open tabs. On these issues, I am far less likely to use reputational information. But even here, I would still care a great deal about the opinions of other picky users. In this subset, I am most likely to be quite typical. In sum, then, the point is while we differ in our tastes and preferences, it is meaningful to speak about the quality, flavor, niceness, beauty, etc., of products and services–so long as we understand ourselves to be speaking about the distribution of experiences among individuals rather than the response of any single individual.